Voice at the Table fills a much needed gap. It provides resources to people with disability so they can be actively involved on boards, advisory panels and organising committees. But perhaps more importantly, Voice at the Table also provides resources to boards, advisory panels and organising committees so they can become accessible to people with disabilities. Voice at The Table aims to increase the number of people with cognitive disabilities sitting on boards, committees and advisory groups within community organisations, local government, and service providers. provide meaningful opportunities for people with cognitive disabilities to advise and influence policies, programs and service planning, development, delivery and evaluation. In 2018, we are working with a neighbourhood house, a community health centre, local councils, an arts organisation and a University. 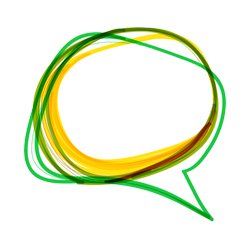 If your organisation is interested to work with Voice at the Table, please get in contact. Civic Participation is a Human Right. But historically, people with cognitive disabilities have not been provided the opportunity to act as representatives, inform policy development or have real input into the services they use. On the rare occasion they do, many express strong concerns about the process. They often find that meetings are not run in ways that support real inclusion, information is not accessible and their opinions while listened to are frequently not acted on, leading to feelings of tokenism and disenfranchisement. Voice at the Table works to redress these barriers and increase opportunities for people with cognitive disabilities to inform and advise government and communities. 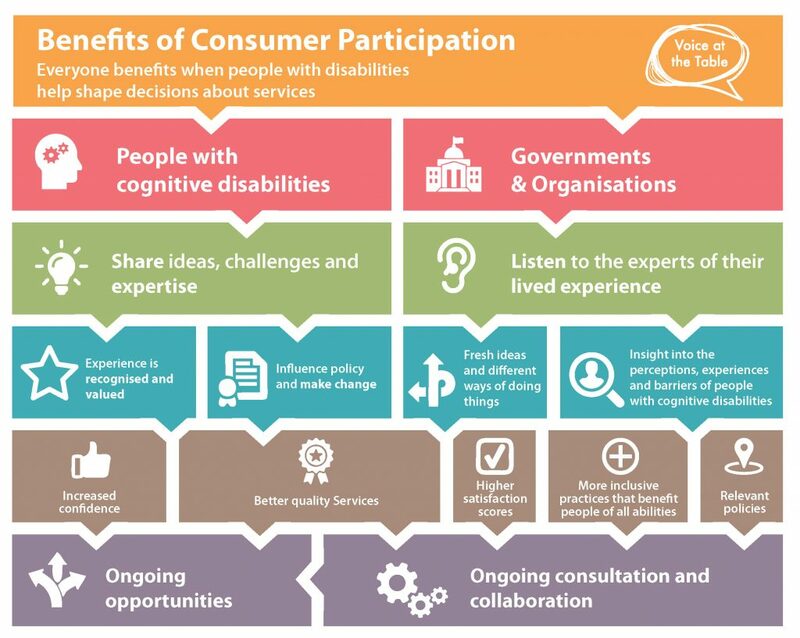 People with cognitive disabilities, service providers, governments and communities can all benefit from consumer participation.